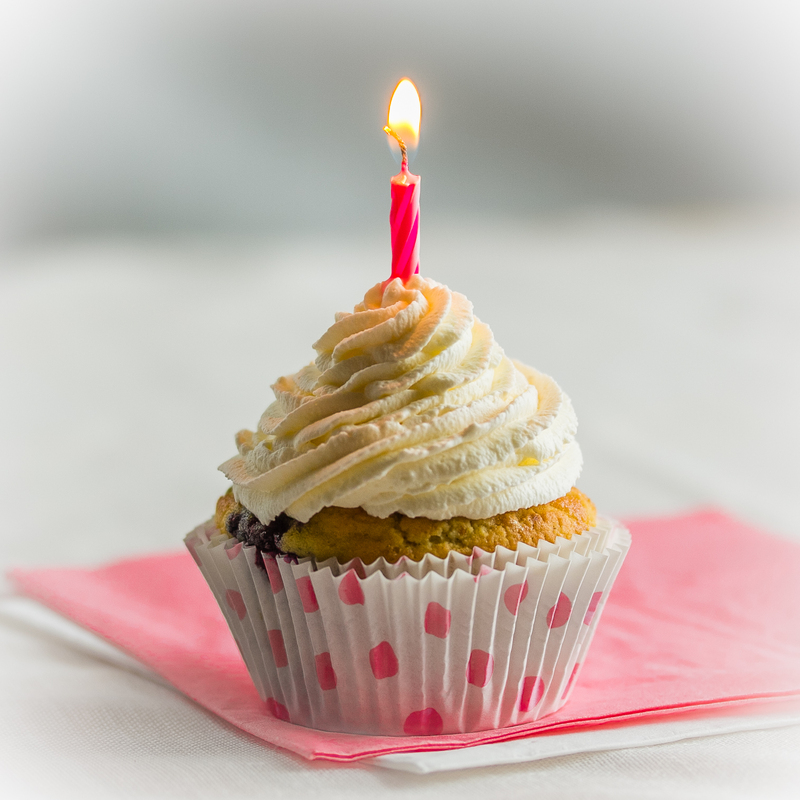 I’ve been blogging actively for a year now. Every single week I have managed to publish a recipe which I have developed more or less from scratch. I have also published a recipe per week in my Finnish blog. Well, this blog has been a real challenge — sugar-free, gluten-free low-carb recipes with 5 or less natural ingredients, using foreign language and foreign measures — but totally fun! Over 100 000 unique visitors, hundreds of lovely comments. Thank you all! Your great feedback really keeps me going. This sugar-free frosting is bursting with flavor of real strawberries. Unlike creamy and buttery frostings, this dreamy meringue-like frosting is airy and fluffy, not heavy. Real strawberries guarantee the authentic strawberry taste without anything artificial. Using freeze-dried strawberries makes also sure that the frosting doesn’t turn out watery, like it would with fresh strawberries. This frosting is perfect for cakes and cupcakes. You can also make gelatin dessert — just spoon the mixture into dessert bowls and let set in the fridge for an hour or two. A perfect way to finish any tasty summer meal! Hope you can pardon me for publishing another appetizer in a row. Actually, nothing prevents from serving this also as side dish. I’m just so thrilled about the flavors of the spring that I simply have to publish another recipe using spring vegetables. This appetizer is especially for those who don’t have a charcoal grill, or who want to prepare a delicious and easy dish quickly and without too much pain. Combining liquid smoke with asparagus is a sure-fire hit. Hint of balsamic vinegar gives a slightly tangy touch, olive oil and salt are natural companions of the green goddess of spring. This fresh appetizer is great not only for low-carbers but for anybody — who can eat shellfish. This dish is healthy with all the benefits of avocado, shrimp and red grapefruit. Chives and black pepper give a gentle kick and complete the bunch of flavors to the full blossom. That’s it, I already told you the 5 ingredients for this revitalizing appetizer, you don’t need anything else! These savory hassle-free, gluten-free low-carb muffins are soft, flavorful and they will be gone very soon once you bake them. You’ll see. It’s time for some fresh spring flavors. Here in Finland we still enjoy (not!) occasional heavy snowing, but nothing prevents from dreaming of sunny and warm spring days. And dreaming is much easier while spreading some of this tangy, sweet and sour spread on freshly-baked muffins. So great for breakfast… wakes you up! Or with afternoon coffee when in need for some energy. I was planning to develop a recipe for crisp bread and had the idea for the basic ingredients for quite some time. I wanted to check how it works and of course develop the recipe as good as I can. 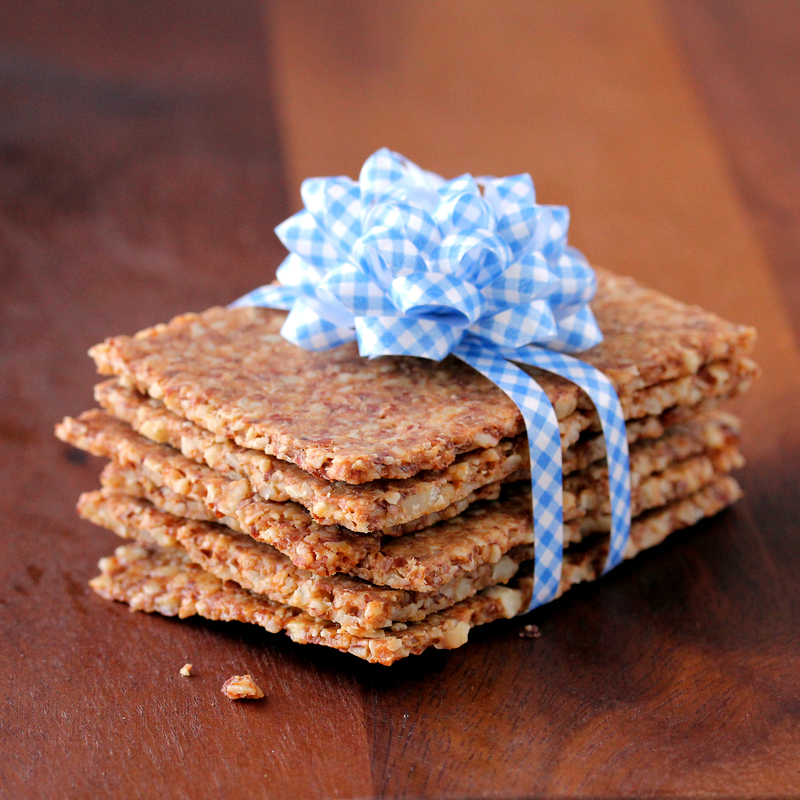 Well, instead of a replacement for traditional crisp bread the result is this: Grain-Free “Whole Grain” Crackers. I call them “whole grain” because they look and feel like they would be made from whole grains. But no, no grains or gluten here. Just hearty healthy unblanched organic almonds topped off with beneficial extra virgin olive oil. These wholesome “whole grain” crackers without whole grains are tasty carriers for all kinds of low-carb delicacies like spreads, butter, ham, cheese, veggies or eggs. Even jam and other sweet spreads go well with these tidbits, especially if you omit the salt or reduce it remarkably. Naturally, the crackers are great munchies as such. Try them yourself! Deviled eggs make a beautiful appetizer. They a great for the finest party and a cozy gathering a like. You can decorate them or just leave plain, in any case they just look stunning and are extremely delicious! I’ve created these cute little nests here, they are especially great for any party in the springtime! Deviled eggs are also staples in low-carb lifestyle. Actually, I haven’t seen many low-carb cookbooks without a recipe for deviled eggs. This is very understandable. Deviled eggs are delicious, easy to make and naturally low in carbs. You can vary them endlessly with different additions, spices and seasonings. Remember to use organic, free-range eggs for the best health benefits and the best color. Have you noticed that the yolks in free-range eggs are bright orange compared to those which originate from intensive farming? Yes, the organic free-range eggs are much more nutritious than the regular pale store-bought ones! Paskha or pasha is something many people eat during Easter here in Finland regardless of their religion. We have even commercial — of course sugar-laden — versions of paskha. Originally paskha is enjoyed by Orthodox Christians on Easter and the dish originates from Russia. Well, for some people Easter is not Easter without paskha, whereas some people cannot stand it. Finnish paskha differs from Russian paskha in the sense that Russian paskha has smooth texture and the ingredients are simpler. Actually I didn’t know this difference before I did some googling and found this recipe for Russian paskha. I adapted my own sugar-free low-carb paskha version from that recipe. Russian paskha is seasoned with just a hint of vanilla while the Finnish version is bursting with almonds, raisins, sultanas and lemon flavor. 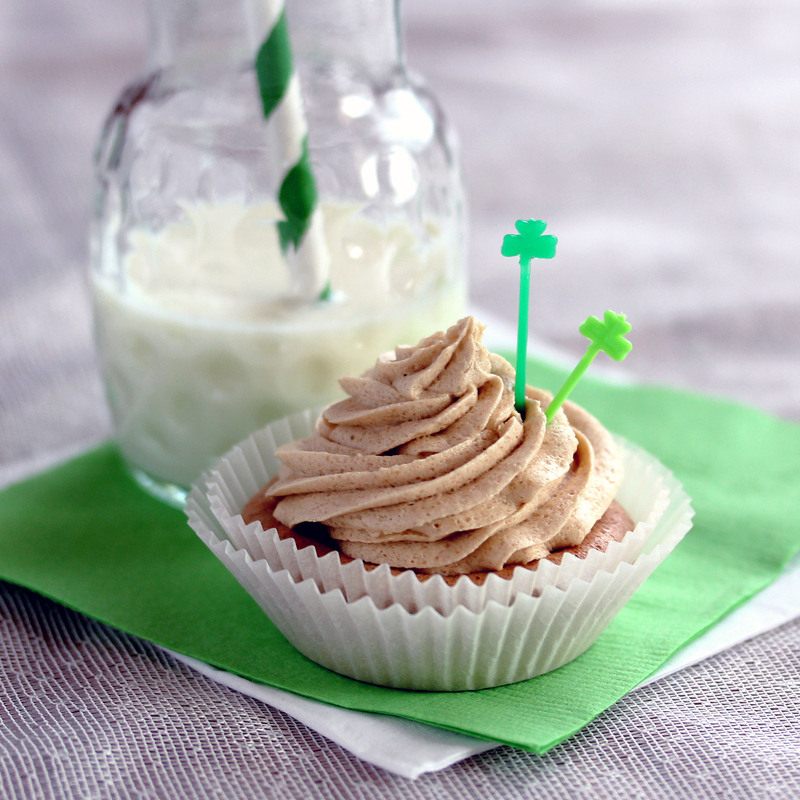 Here is another exciting recipe for your sugar-free St. Patrick’s Day festivities. This is an adults-only delicacy, with a small but clearly noticeable boozy note. If you are not consuming alcohol at all, or would like to make a family-friendly version, there is a tip for that in the end of the post. Have fun and enjoy!